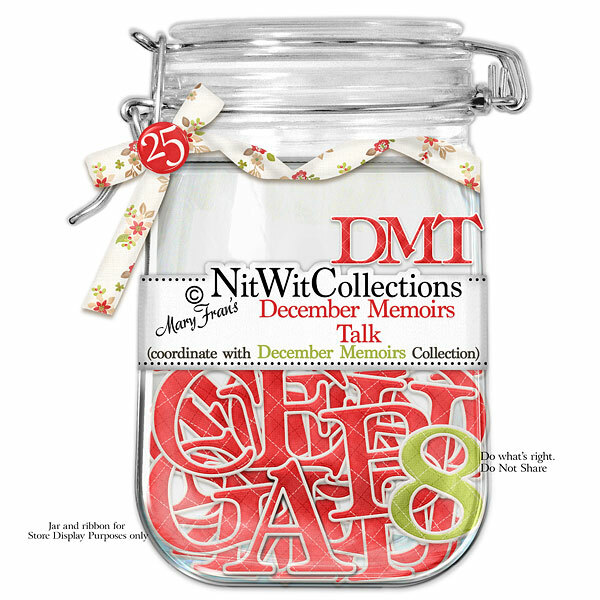 "December Memoirs" Talk let's you boldly display the names, dates, titles and more that capture your creations' embodiment. Sing it out loud!! 1 AlphaWit set of uppercase letters, &, apostrophe, exclamation mark, question mark and set of numbers in green (0 to 9).